EMMCA Case Managers are trained and caring professionals that empower older adults living in their home or apartment to maintain their health, safety, independence, and community connection. Case Managers work with a client and family to assess that person’s unique needs. Case Managers work with a client and family to develop a plan of action (an Individualized Service Plan) that addresses that person’s unique goals and needs. Case Managers work with the client, family, and other involved professionals to monitor the client’s changing needs and adjust services accordingly. Case Managers help the client communicate with family and care networks and other agencies and professionals. Case Managers can serve as authorized representatives for certain County-funded programs, as needed. 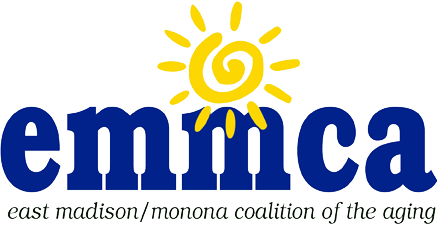 EMMCA serves older adults who are age 60+ living in East Madison or Monona. Call EMMCA’s reception office at (608) 223-3100 to get connected to an EMMCA Case Manager.